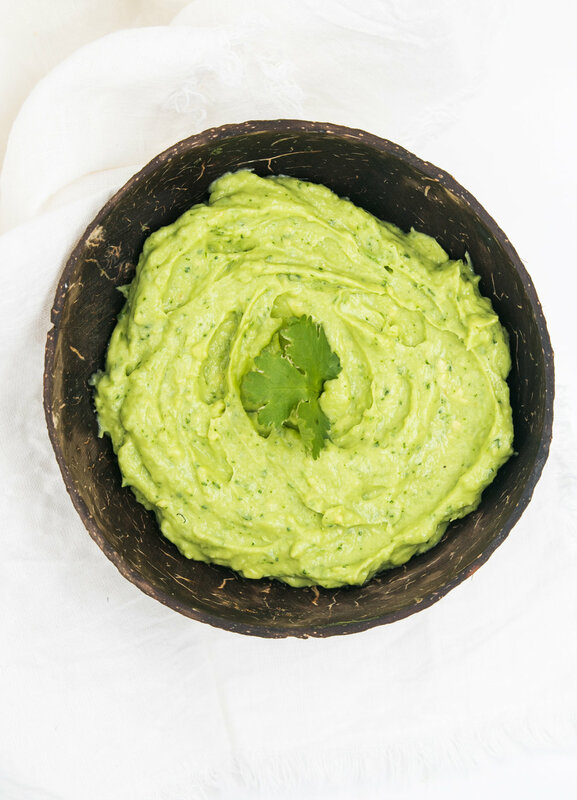 Let your imagination run wild with this quick dairy-free creamy avocado spread. You can seriously put it on anything and everything. How to pick up a the ripe avocado? There’s nothing more disappointing than anticipating the taste of a ripe avocado, only to cut in and realize that it is way too firm and will have little taste. Please squeeze the avocado. Just apply a little pressure to the skin. If it doesn’t give at all, then let it ripen a bit more. If it is too soft, you may have missed the optimal time for eating it—but don’t give up without looking inside! Most avocados sold in stores are not yet ripe, and could take up to five days to ripen. If you find that an avocado is too firm to eat, but to shorten the ripening process put it in a brown paper bag. Better yet, add an apple or banana to that bag—the gases these fruits emit help speed up the process even more. So what are you waiting for? Go buy an avocado or two now, and make this quick creamy avocado spread.